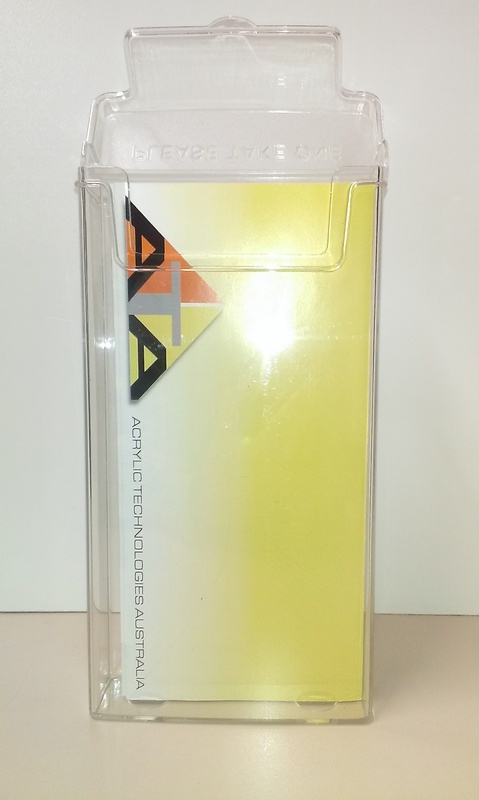 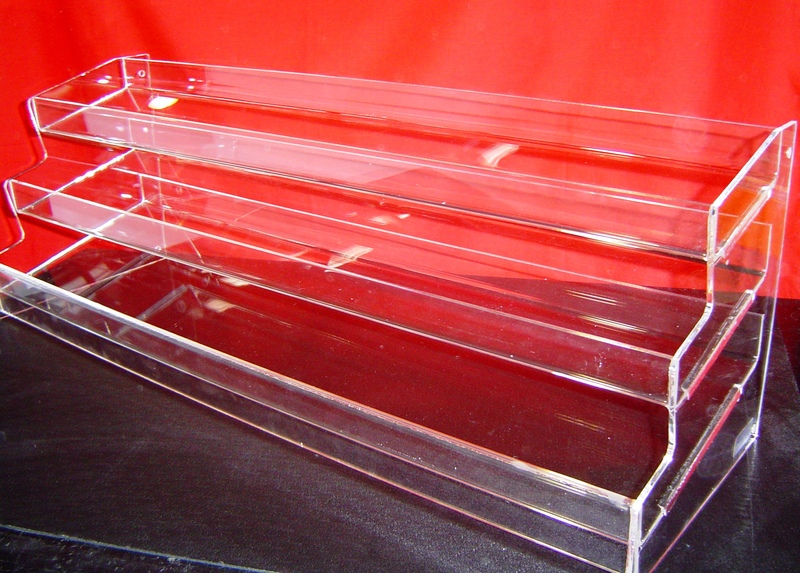 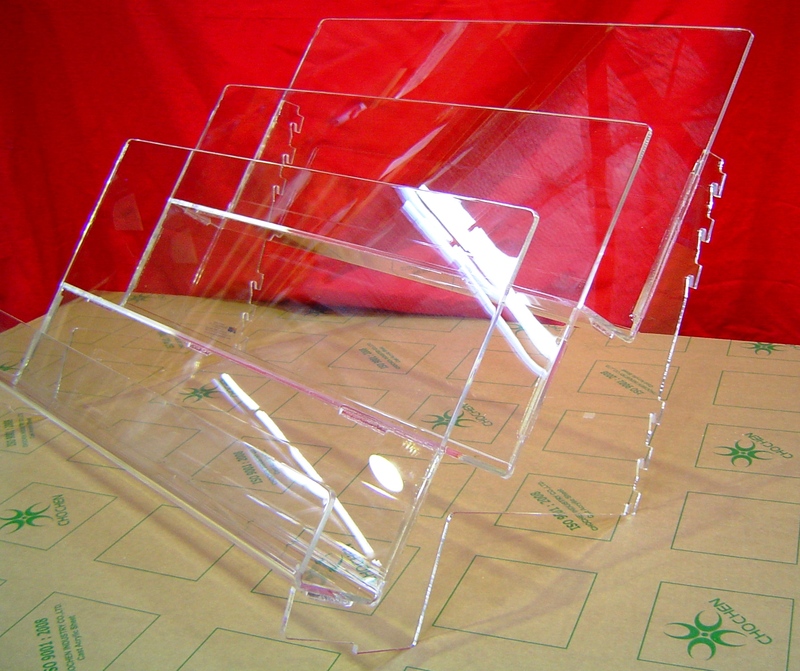 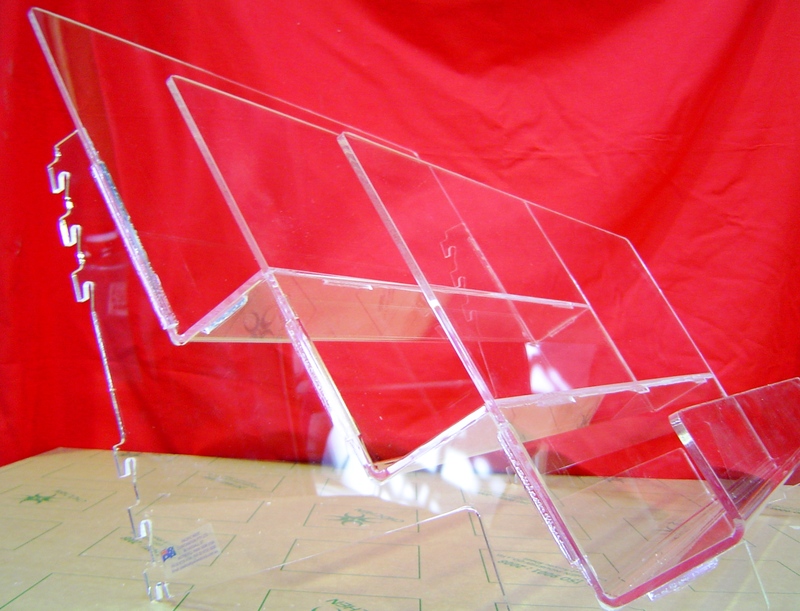 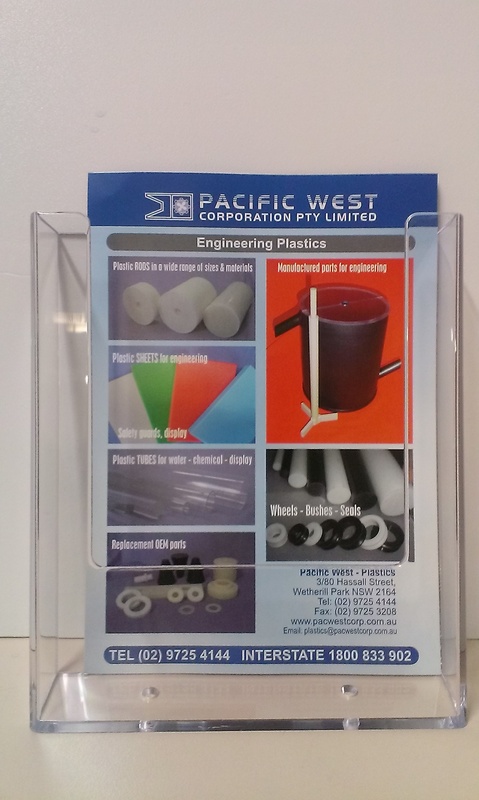 With over 20 years of experience in plastic fabrication, Pacific West offer a great range of ready made and custom fabricated brochure holders, menu holders and magazine racks. 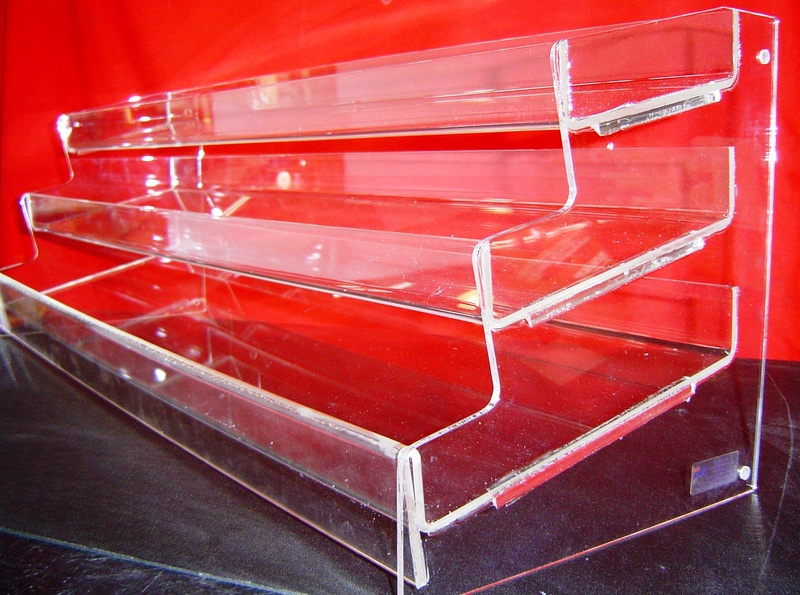 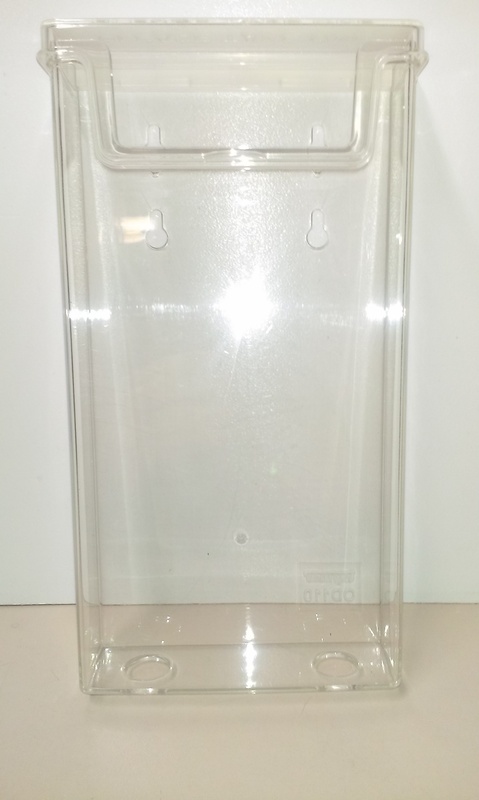 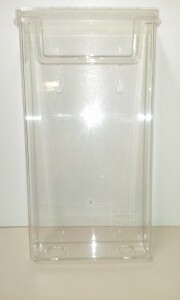 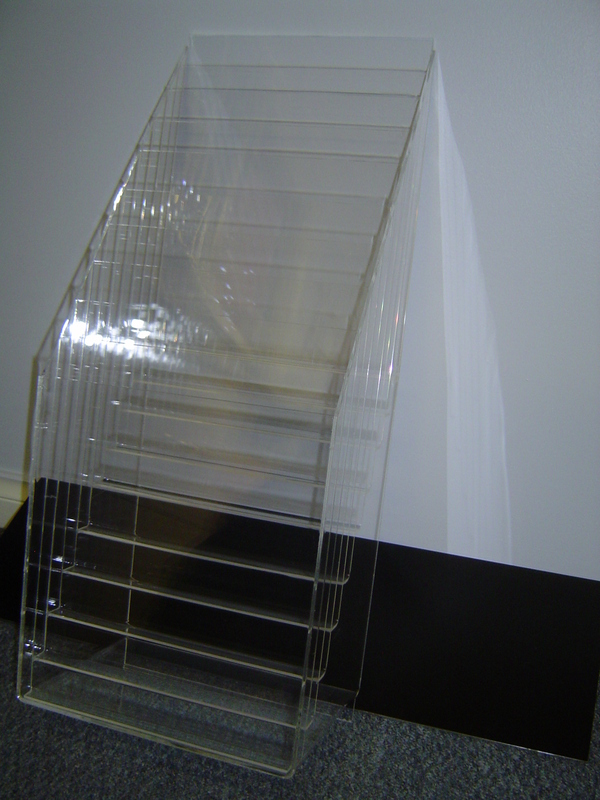 We make our holders and racks with durability and ease of use in mind for our customers. Brochure holders can be tailored for indoor or outdoor use, and can be made table top or wall mountable in a variety of colours, styles and sizes. 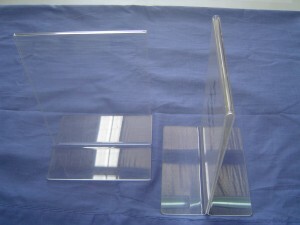 Customers can select their own custom sizes, in addition to commonly used DL and A4 sizes. 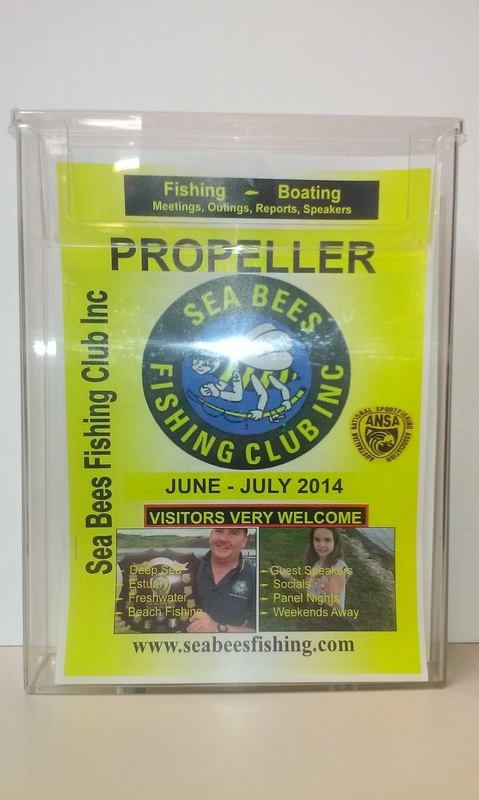 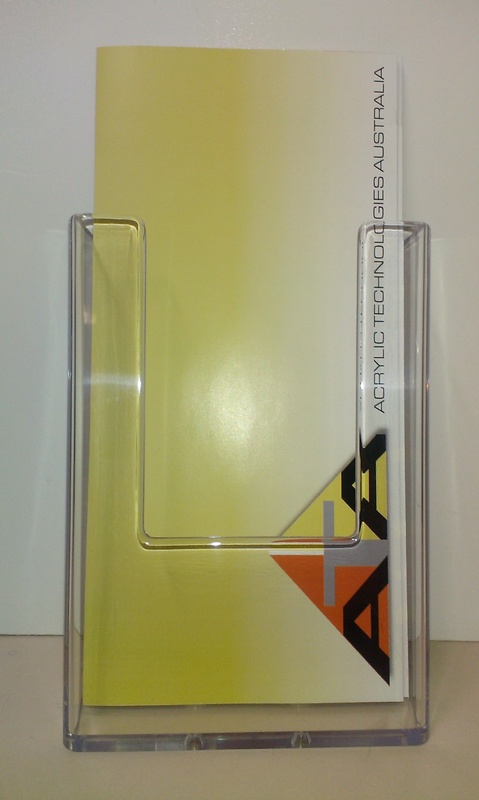 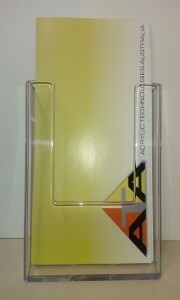 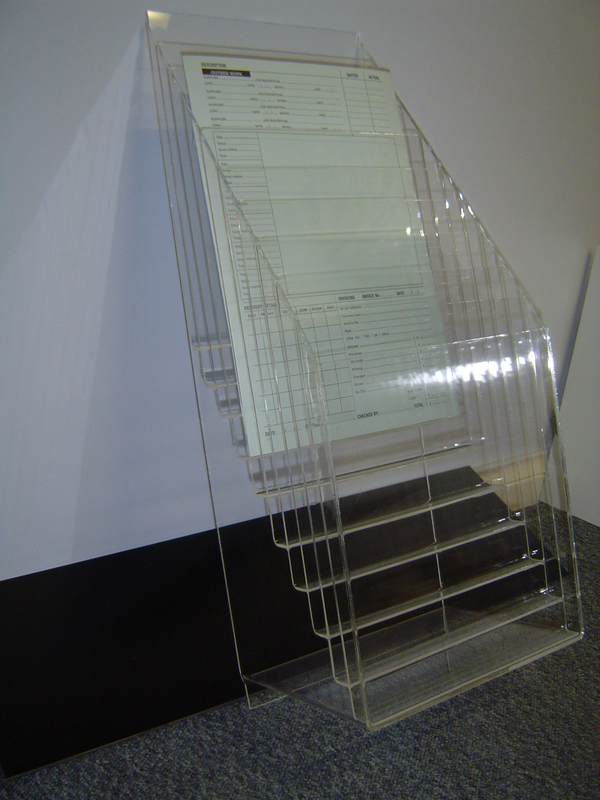 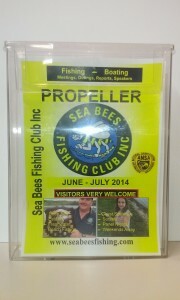 We often make outdoor brochure holders for customers with a hinged lid to protect your brochures from the weather. 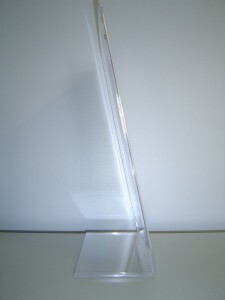 Some of our best selling and custom made examples can be seen in our gallery. 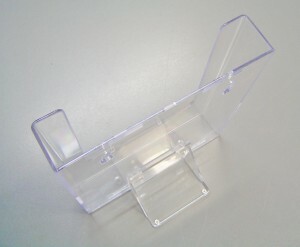 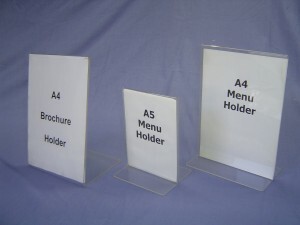 You are now able to purchase 2 new types of brochure holders. 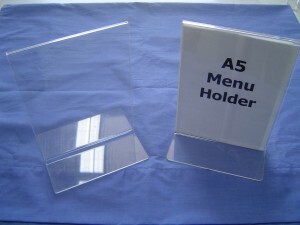 Firstly, you can choose a wall mounted design. If you require a counter top display, all you need to do is add the removable foot mount. Made from polystyrene and available in A5 and A4 sizes. 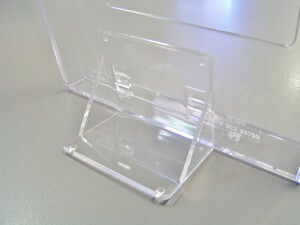 Opening dimensions: 230mm x 32mm. 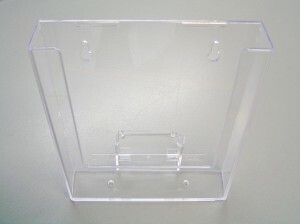 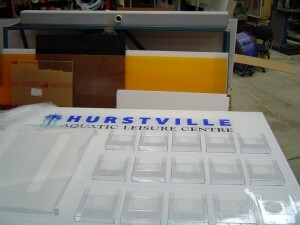 Opening dimensions: 160mm x 32mm. 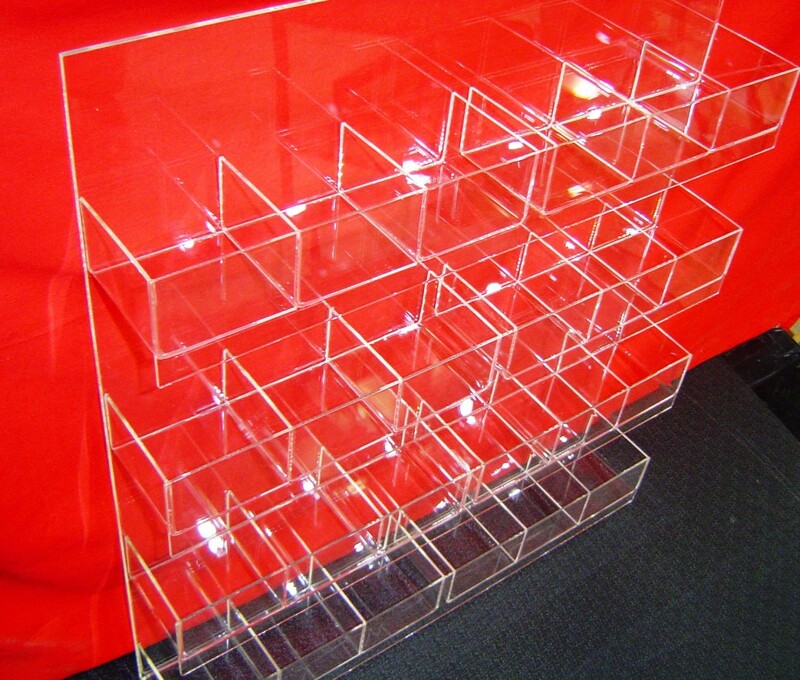 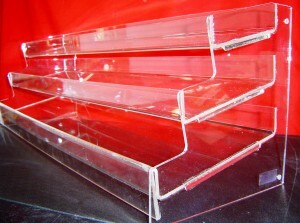 Customers can also order magazine racks tailor made to your requirements. 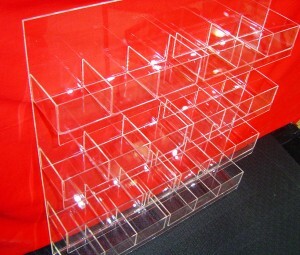 Wall mountable magazine racks are popular in professional waiting rooms, as well as in salons and retail stores. 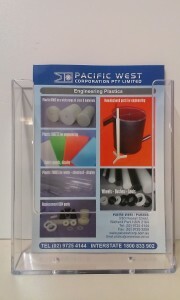 Whether you require a large, clear magazine rack with vinyl printing of your logo, or a single tier table top magazine holder, Pacific West can create the perfect magazine rack to suit your needs. Here at Pacific West we offer a range of ready made simple A5 and A4 menu holders, and custom fabricate even the most elaborate design to meet your specifications. 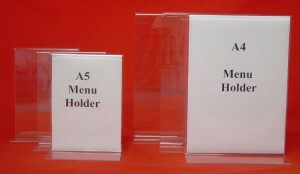 Below are some common examples of menu holders we readily supply and have custom fabricated according to customer’s needs. Some of our ready made menu holders are available now from our eBay store.